That awkward moment you don’t know what to do because the middle light in the stoplights in the town you’re in are orange. 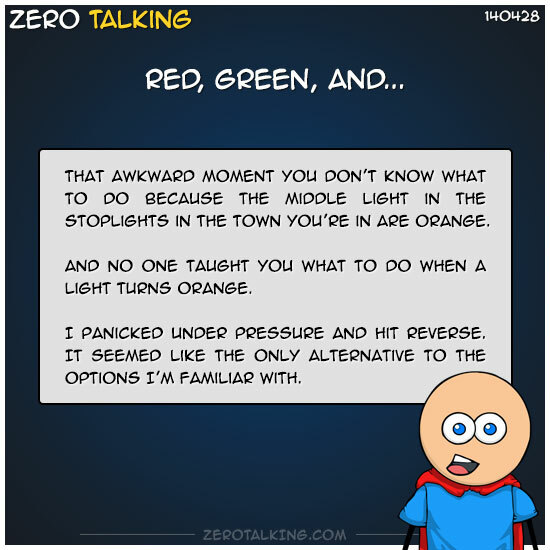 And no one taught you what to do when a light turns orange. I panicked under pressure and hit reverse. It seemed like the only alternative to the options I’m familiar with.